SM Entertainment�artists totally took over UAE fans' hearts. 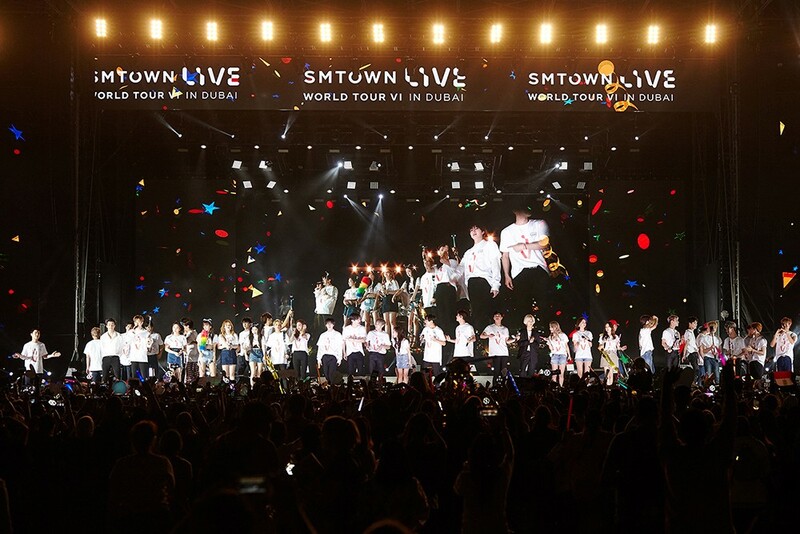 SMTOWN�was at their first ever 'SMTOWN LIVE in Dubai' on April 6th Kangta, BoA, TVXQ, Super Junior, Girl's Generation (Taeyeon, YoonA, Hyoyeon), SHINee, f(x)�(Luna, Amber), EXO, Red Velvet, NCT�(Dream, Ten, Lucas), TRAX, and Henry�were present to perform 49 songs for over 4 hours. The concert kicked off through�EXO-CBX's "Hey Mama! ", and other hits such as "Doll", "Wannabe", "Notorious", "New Heroes", "The Chance of Love", "One Shot, Two Shot", "Go", "Sorry Sorry", "View", "Power", "Red Flavor", and more were performed.